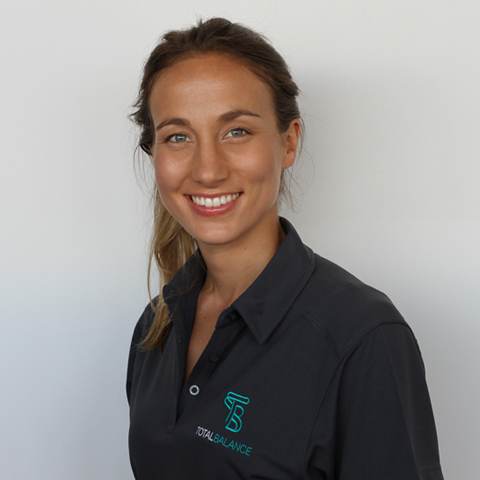 Milly is an APA accredited Physiotherapist, who has worked for a number of years in private Bayside Physiotherapy Clinics. She graduated from Monash University with a Bachelor of Physiotherapy. Since then has developed her skills in areas that she enjoys and believes are important to move forward in assisting and preventing further injuries. These include Clinical Pilates, Dry needling, Pelvis and hip rehabilitation, Women’s health and surgical rehabilitation. Milly has a holistic approach to her clients wellbeing and therefore works closely with other health disciplines including other allied health professionals, Nutritionist, Personal trainers, Massage therapist and Chinese Therapists. She has supported several Bayside sporting clubs and has now decided to open Total Balance Physiotherapy in Black Rock to share her enthusiasm for a healthy life style. In her spare time, Milly enjoys the gym, running & yoga.